Last year 108.000 people in the Netherlands were told they have cancer. My name is Petra Hoogendoorn. My husband, father to our three young kids, was told in 2009 he had a brain tumor. He died two years later at the age of 40. As industrial engineers we were used to analyzing processes. What did we admire? What would we improve? We were impressed by the dedication of his doctors and nurses. And somewhat stunned about the little information they had to work with. The major decisions they had to make. The lack of feedback what treatments did. I founded Your Years and we started making Goings-On. 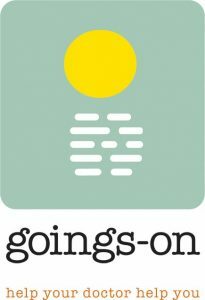 Goings-On is a tumor monitor. A scan will tell you where a tumor is located. And whether it has grown or shrunk in comparison to the last scan. But a scan does not tell you what a tumor does to your body and your life. It doesn’t reveal what matters to you. Information that is vital to come to the right treatment at the right time. The Lean Startup Academy in Bucharest, last June, helped us dig deeper. Who is our customer? What is their exact problem? Using every possibility to check our assumptions and test our solution. Our aim is to help the doctor to help you, becoming the first eHealth in the national guidelines and contributing to acceptance and implementation in and beyond the Netherlands. We also aim to get refunded by care insurers to fund our next steps to get there. It is certainly not a beaten path. Every support is welcome. The first researches into monitorapps in oncology show an increase in quality of life and months of lifetime. Toxicity seems absent and costs are relatively small. What lacks is consensus on what is proportional validation for eHealth. We are cooperating with patient organizations, the Netherlands Cancer Institute, Leiden University Medical Center and University incubator Utrechtinc, with a view to validating Goings-On, adding to the consensus and contributing to the right treatment and care at the right time while getting Goings-On available and reimbursed. Through Goings-on we want to help your doctor help you, the eHealth HUB Lean Startup Academy supported us. 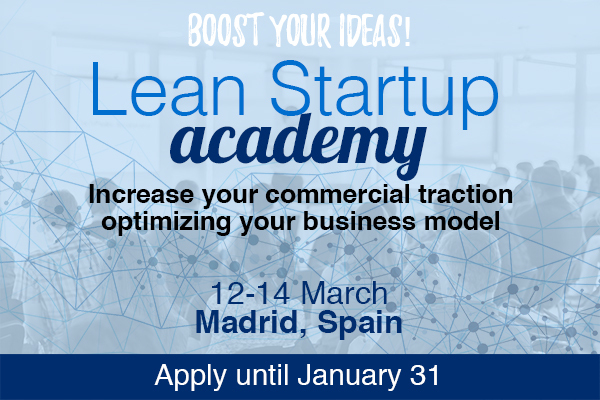 Next Lean Startup Academy will be held in Madrid. Apply before 31st of January! Want to increase your commercial traction? Validate your digital health solution & start selling more! We help you to test your hypothesis with customers and experts for 10 weeks. Register by 31st of January. Free of charge!